Hi guys, finally I completed modify my template. 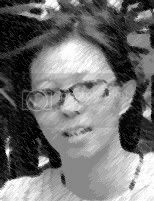 Now is the time to let me post the first blog post. 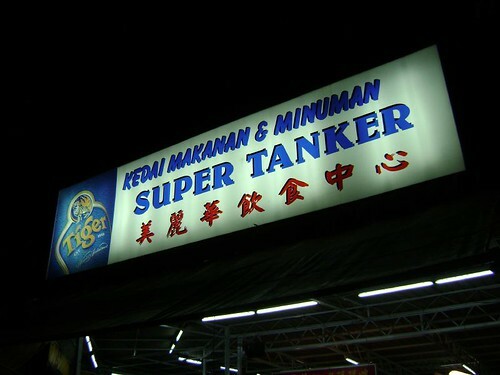 Last Sunday night, my dad brought us to Super Tanker, LipSin to have a simple 'hawker dinner'. But the food is not same like low class style. Quite delicious! Especially the chicken rice. It's really tasty. I like it so much, the whole dinner just cost RM30 around. 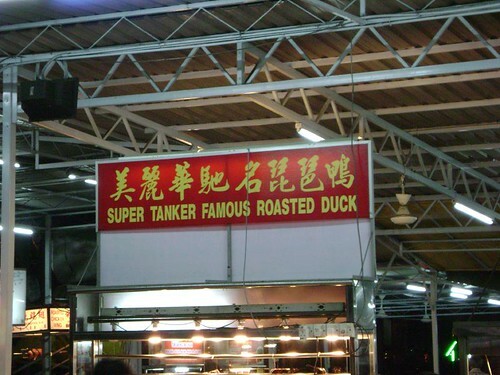 Super Tanker hawker stall kopitiam, here we come! That is the stall of Chicken Rice that I mentioned just now! Is a quite big stall, sure very popular at that area. Then, our drinks come! 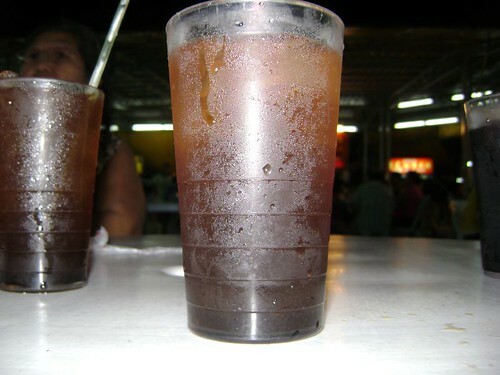 I order a glass of 'Keat po'. Is quite sweet but not cold enough. Still okay la! 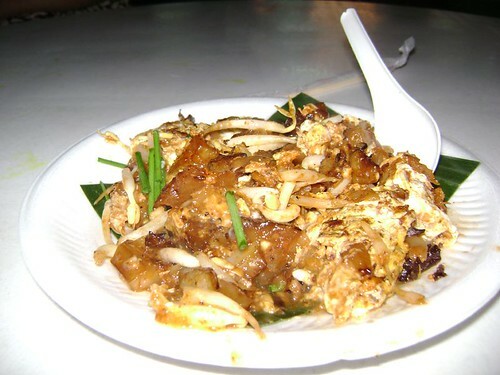 This was my sister ordered 'Char Keow Kak'. This plate cost RM1.80, still can be approve. 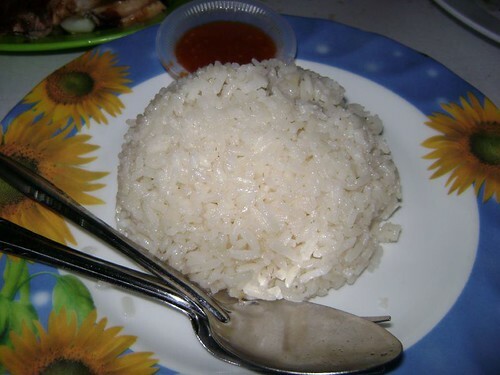 This was my rice! 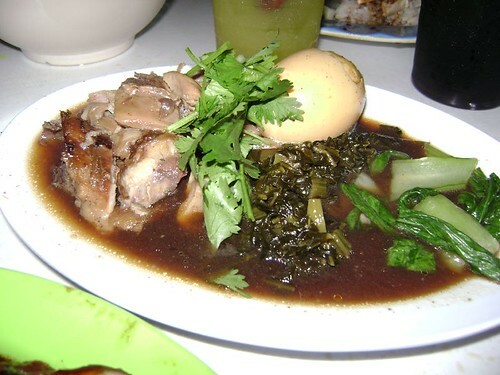 Is quite delicious, without meals also can be eat ready lo! Hahax. Here the chicken that they provided to us! Is quite a lots. I ate until so full. Walao eh! 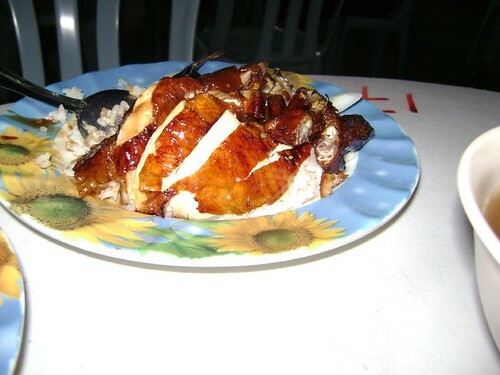 This was my grandma chicken rice plate. They put it nicely straightly in my grandma plate. Is so weird, don't know why at all. This was the fried taofu here. I quite like this shot. It's begin more creative! It's contains 7 pieces cost RM2.00. Is okay la. 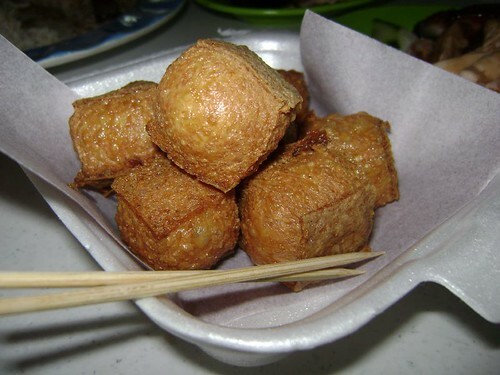 Fried with 'kiam hu' Haah. This was the plate of vegetables that my dad ate for Thai food set. 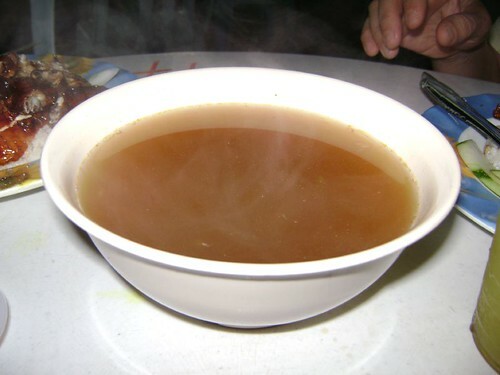 Cost RM3.00, I think is more comfortable than eat in restaurant. Congratz on the first post! Thanks for your support! I will slightly improve and do not let you all disappoint!